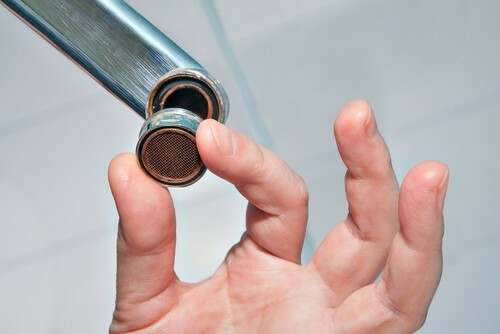 If you have a leaky faucet or tap in your bathroom or kitchen, then you should never ignore that in nay condition. This wastage of water will not only increase your water bill gradually, but it will also affect the integrity and strength of your house. The good thing about this problem is that you can fix this problem in easy manner by following some simple tips. I am sure, you are not well aware about these tips or idea that can help you replace the faulty tap in your kitchen or in your washroom. So, here I am sharing 5 Tips On How To Replace A Faulty Tap in easy manner. To replace your faulty tap, it is advised that you get right kind of tools or equipment for same. If you don’t have right kind of tools or equipment’s then it will be almost impossible for you to do any work. For this work, you will need screwdrivers, wrenches and long nose pliers. Other than this, you may also need brass washer, O-ring and jumper valve for replacement work. In some cases, you may need other material as well depending on the damage that you have in your tap. It does not matter what kind of tools or material you need, it is essential that you get them right before starting the work. That will help you do the work without any distraction and you will not find any trouble as well. In addition to this, it is also important that you learn basics of replacing faulty water tap before moving ahead. Before you replace the faulty tap in your home, it is advised that you turn off the main water supply from your overhead tank. There should be a knob that can allow you to do so. When you will turn off the main water supply, then you will not have to deal with the water pressure, nor you will waste any water as well. Also, if you will try to fix it keeping the water one, then you will not be able to identify if you solved the problem or not. If you have separate knobs for each of water taps then you can try that option as well and you can turn off individual tap for the work. It will not affect the work of other people in your house and people will be able to do their work easily. And once you are done with the tap repairing work, then you can turn on the water supply and you can check if it is working fine or not. In your water tap, there are three main things that are responsible for proper functioning of water tap. These three things include washer, o-ring and jumper valve. If you can identify the root cause of the problem, then you can solve the problem just by replacing one of these objects. However, it is a good idea that you do not take any risk and you replace each of these parts. If you will replace only one of these three objects, then you will not have any assurance about the solution of this problem. Also, chances will remain high about damage of other part of the water tap. But if you replace all o-ring, washer and jumper valve, then all the things will be new and you will have no worries about damage parts as well. Also, you don’t have to stay in dilemma if you find the exact root cause of the problem or not. This is another important tip that you have to keep in your mind to get the faucet working properly. If you don’t do the proper servicing of your water taps, then you can definitely have some problems in it. You have to understand that any faucet do no last for life time and eventually you may need to replace it with a new one. In every few years you should get it replaced with a new one. Also, when you do the replacement then make sure you get only a branded faucet and if you feel you cannot do the replacement work by yourself, then don’t mind taking help of experts for this. Indeed, this is something that may need some extra money for replacement work, but that extra money will give you much more benefits by saving water in long terms. And if you get a good quality branded faucet, then you will not have to worry about quick damage in it. I can say the same thing about selection of an exercised plumber as well for faucet replacement because they will know the right method to fix it and they will give you assurance of good results as well. When you do anything to solve the dripping problem of water faucet, then it is advised that you cross check it properly after the work is completed. Some people have this tendency of not checking the faucet after doing the work and that leads them to problem. Most of the time people ignore this basic thing because they feel everything will work fine as they just installed new things. But after sometime they realize things were never fixed and they end up doing the same work again and again. So, whenever you fix your water faucet leaking problem, make sure you give some time to check it. If you hire a plumber to do it, then also you shall test it properly by opening and closing the tap several times. If it does not start dripping again after few times, then you can assume it will work well later as well. And if it starts dripping just with few tries, then you can consider the problem is not resolved. So, when you fix the problem, make sure you give good time to cross check it and you move ahead only when you are satisfied with the results.